To date, I have 3 bronze editions available for purchase. My first bronze is "Tirzah" and is a Limited Edition of 7 and currently only 3 have been made. Unfortunately It's debatable if I will make more due to an issue with another foundry I used as my mold is MIA. 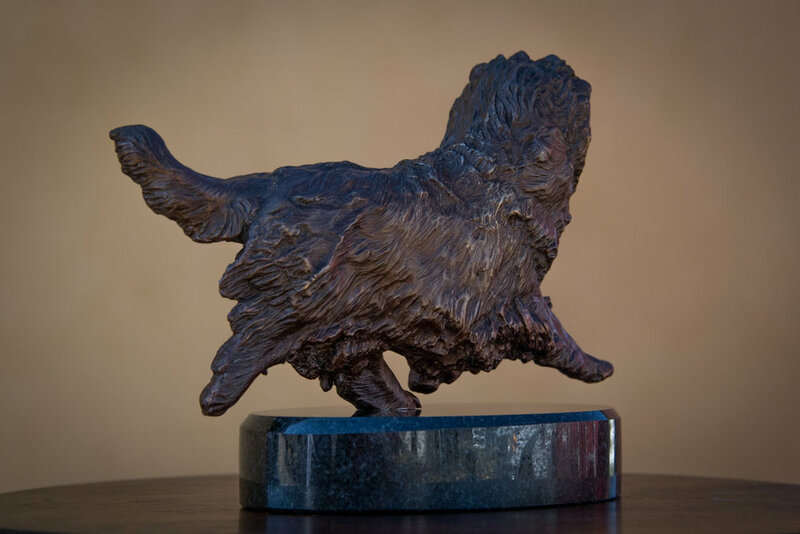 My second bronze is "Tirzah Gaiting" and is a Limited Edition of 25. 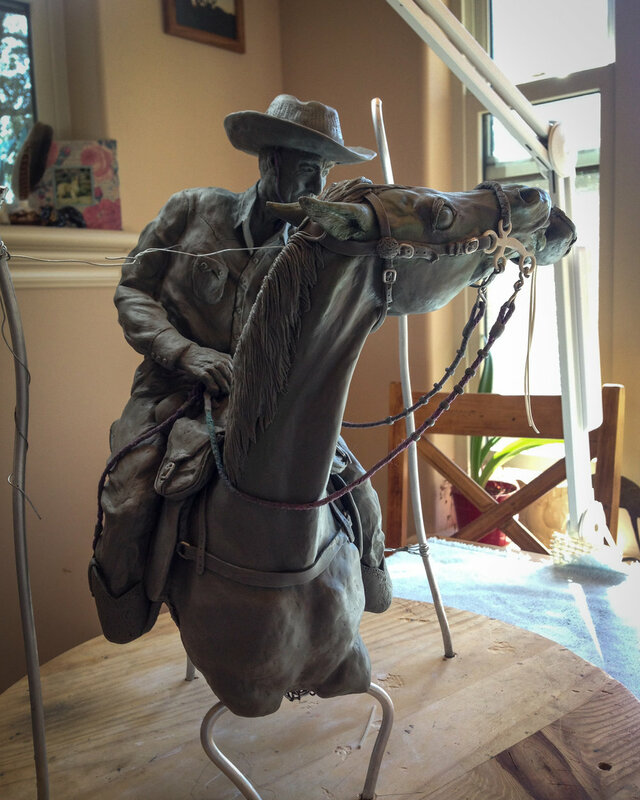 I am currently finishing up my 3rd bronze, which is for the Western States Trail Foundation's Tevis Cup. 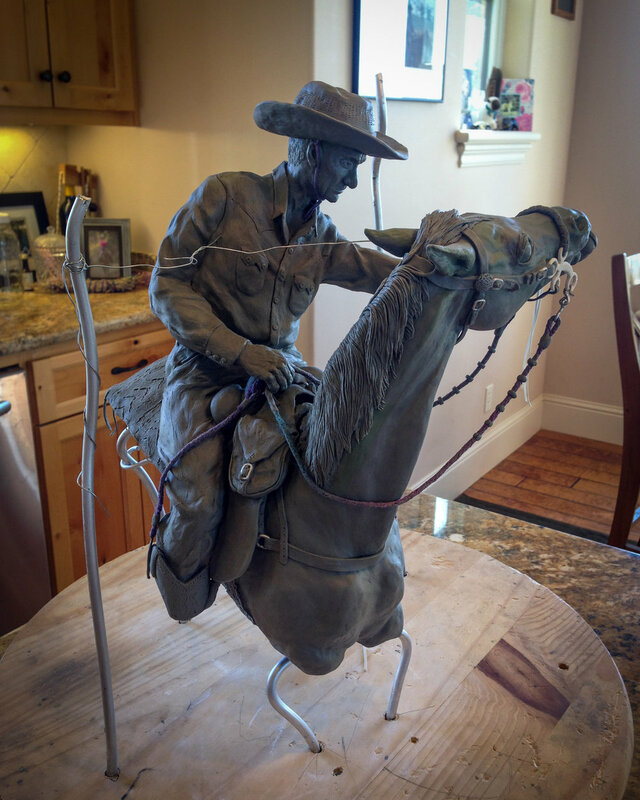 The is a Limited Edition of 50 and sculpted after Wendell Robie & his borrowed horse Nugget. The image I was given for reference is the iconic photo of Wendell giving his horse a drink from his canteen at the Tevis finish line in 1961. The #1 Edition will be the "Wendell Robie 500 Mile Horse" trophy. Each horse who has 5 Tevis completions will receive a silver dollar sized medallion. The #1 bronze will be mounted on a small granite chunk then on top of two wooden bases in the same design as the Tevis & Haggin Cups. To date there are approximately 50 horses who have achieved this incredible feat and their names will be engraved on individual placks and mounted on the base. I was fortunate to procure this commission being as I am kinda a Tevis junkie. As we speak it is still at the Frostad Atelier Foundry as it's been an extremely complicated piece. I will post completed photos later on, but the trophy will be unveiled at the Tevis Cup Awards Banquet on August 6th, 2017 in Auburn, CA. Contact me for details on pricing. Here is my original Sculpey mold for my "Tirzah" bronze. 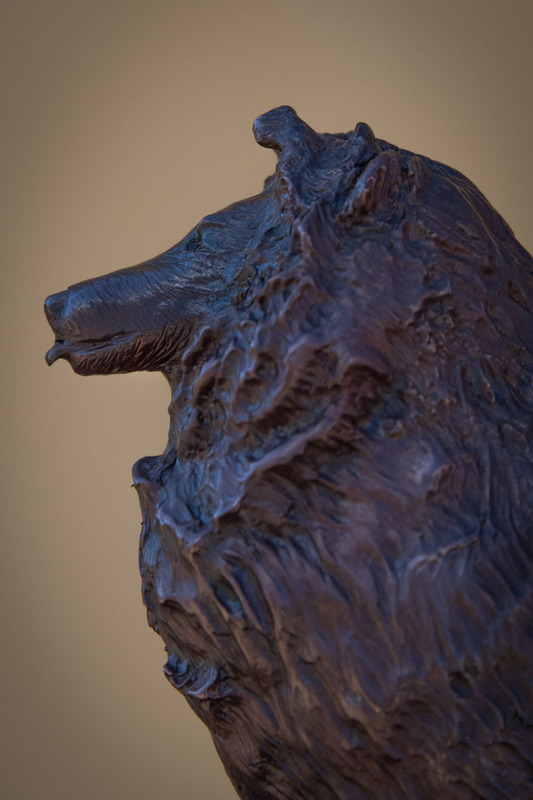 "Tirzah" ~ This is the 1st of 7 Editions in bronze. It measures 13" L x 7 1/2" W x 7 1/2 H. "Tirzah" ~ $1500 plus S&H ~ At this point only 3 of the 7 will be made. #2 has been sold. Contact me for details.